Sri Lanka on Wednesday ordered the culling of thousands of chickens amid fears that a flu strain discovered at a farm could mutate into the more virulent bird flu virus. The Department of Animal Production and Health deployed 30 officers to isolate the poultry farm in Bingiriya, 80 kilometres (50 miles) north of the capital Colombo and destroy its animals, director general Kumar de Silva said. A total of 6,000 birds were destroyed, local officials said. He said local scientists feared that the milder form of the virus could mutate. 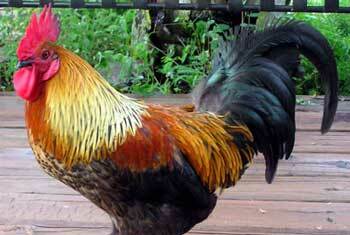 There have been no cases of H5N1 detected in Sri Lanka, de Silva said. The avian influenza virus has killed more than 330 people around the world, and scientists fear it could become readily transmissible between humans, with the potential to cause millions of deaths, AFP reports. Bird Flu rearing its head in Kurunegala?